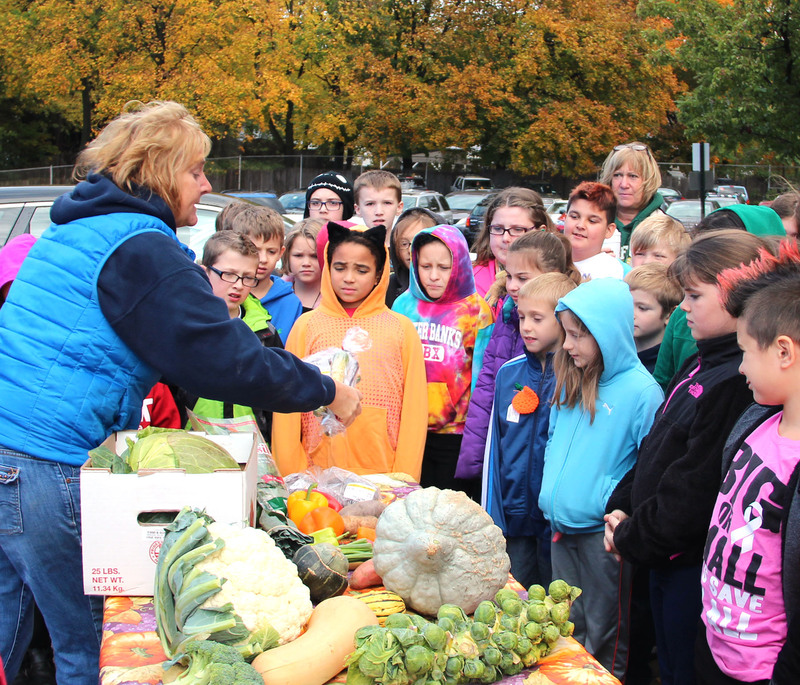 Fairgrieve Elementary students got a first-hand glimpse into the agriculture industry during the annual Harvest Festival held recently outside of the school. 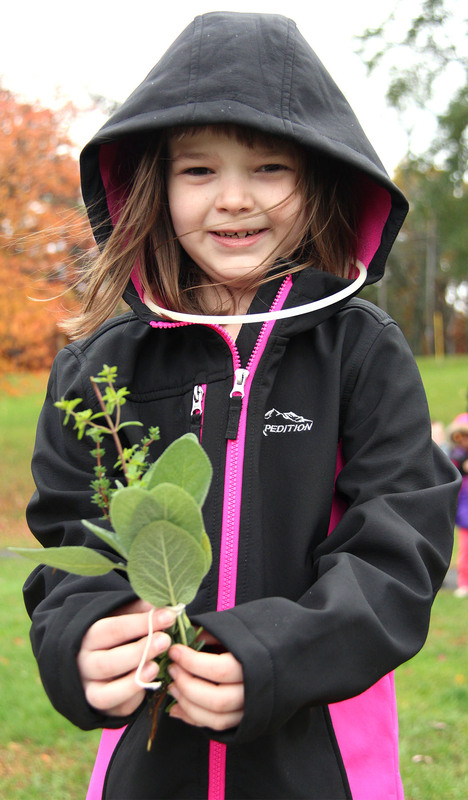 Fairgrieve second grader Chloe Calkins shows an herb bunch she picked during the annual Harvest Festival. The herb, along with dozens of fresh vegetables and fruit, were donated to local families in need. With produce purchased from local farmers, students picked squash, potatoes, peppers, eggplant, onions, carrots, beets, cabbage and apples at each crop station set up on the mock farm. All 23 classes packed a box full of the fresh produce, which was donated to the food pantry operated by Catholic Charities of Oswego County. The day tied into many instructional lessons, according to second grade teacher Stephanie Ruta. Second graders are learning about community and community workers, while fourth graders are studying New York State. 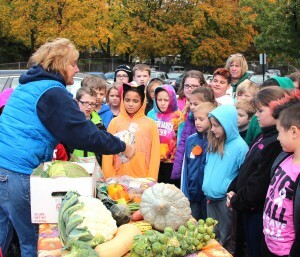 Wendy Noel, Ontario Orchards employee, talks about different vegetables with fourth graders during Fairgrieve’s annual Harvest Festival. At the Ontario Orchards station, students received an apple and a sample of apple cider. Teachers also have talked about farmers and their importance in providing food for everyone, Ruta said. Highlights of the daylong school festival included a progressive story read during the Morning Express program, music provided by Mark Warner, a presentation from the Fulton Fire Department, a treasure hunt, a visit from Ontario Orchards employees who talked about vegetables, a pedestrian safety presentation, a maple syrup presentation, a discussion on farm work, and birdseed harvesting. Matthias Searor, front, and Shyla Alvarado harvest sunflower seeds during Fairgrieve’s annual Harvest Festival. 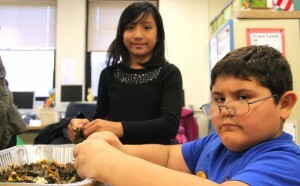 Students harvested various bird seed to be used in feeders on school grounds throughout the school year. My students loved the day. Said it was the best day ever in school.